One good way to make food last is through freezing. That way you can purchase more of an item because you do not have to consume all of it before it goes bad. For instance, blueberries and blackberries are on sale this week at my local grocery store. I got 2 containers each of blueberries and blackberries. I’ve already eaten one set, but I decided to freeze the rest. To freeze the berries, I first washed them with fruit wash. This is to get off any remaining pesticides or nasty stuff. I left them to dry for roughly an hour in a colander so that the excess water dripped off. Then I put the berries in a metal lasagna/brownie pan so that there’s just a single layer of fruit and placed them in the freezer. The next day I packed the frozen berries all up in a Ziplock. 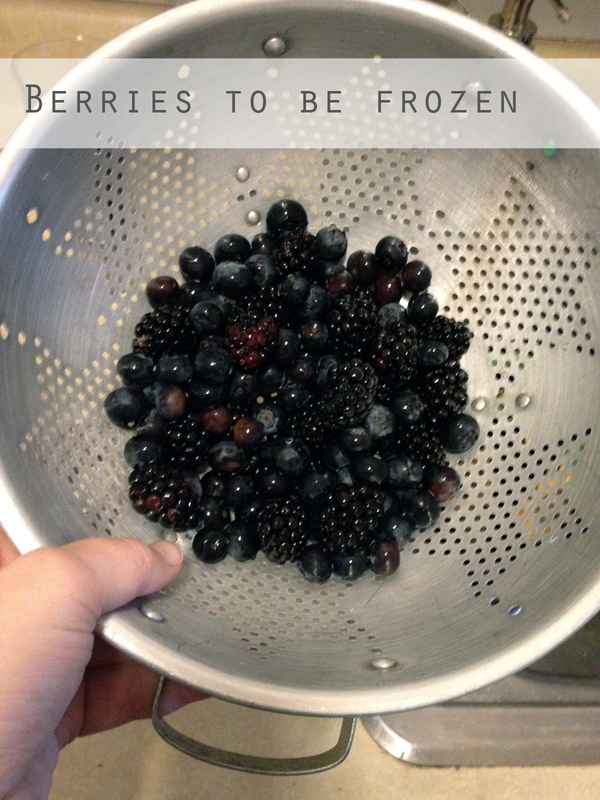 It’s really simple to freeze fruit for later! Just make sure that however it goes into the freezer is how you want to use it later. So for something like strawberries, cut off the tops and into whatever sizes you’d like. I plan on using my berries in smoothies, and maybe in some pancakes.